“Frame” was the focus in the desgin we introduced at the Tyrolia Adrenalin freeride binding. Also “Frame” was the topic in optimizing weight without loosing performance and stability at this binding project. The design illustrates a low platform height and is not an “application” but a touring tool. 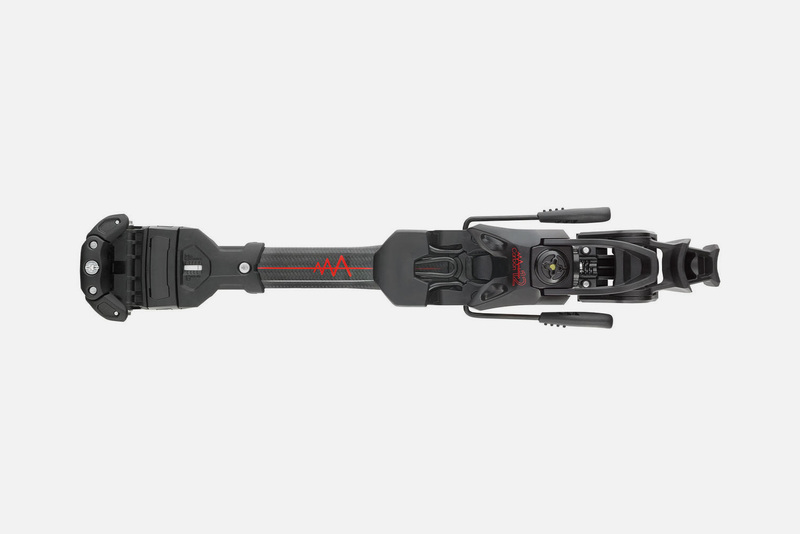 The Ambition binding offers a high performance in touring mode. The telescope system allows locking the heel always directly next to the skiboot, no matter what size the boot is -> one bindung fits all boots. A wide base at the heel transferes the power from the heel directly to the edge of the ski in skiing mode. Standing position 35mm, Z 4-12 For touring and alpine ski-boots, one size for all boots.